Wish you could get rid of your scalp acne? Or are you searching for a product that actually works once and for all? This quick review guide will help you find a solution so you can get back to living your best life! First, what is acne? How do doctors classify the different types? A pimple on your scalp may be: mild, this includes blackheads and whiteheads; moderate, this includes papules and pustules, which appear on the skin’s surface; or even severe, this includes nodules and cysts, which are embedded under the skin. Severe acne usually needs a prescription to help clear it up. What causes scalp acne and acne in general? Acne appears when a pore in our skin clogs. This clog begins with dead skin cells. Normally, dead skin cells rise to surface of the pore, and the body sheds the cells. When the body starts to make lots of oil that keeps our skin from drying out, the dead skin cells can stick together inside the pore. Instead of rising to the surface, the cells become trapped inside the pore. Sometimes bacteria that live on our skin also get inside the clogged pore. Inside the pore, the bacteria have a perfect environment for multiplying very quickly. With loads of bacteria inside, the pore becomes inflamed. If the inflammation goes deep into the skin, an acne cyst or nodule appears. In order to treat your acne effectively, you need four basic types of products. These products pair with their correlating step. These four essential steps create a complete skin care regime; listed below; which Dr. Cynthia Bailey recommends everyone have some form of routine that involves these four steps. She also recommends you do this routine faithfully twice a day. Step 1: Cleanse- Gentle everyday cleanser, but exfoliate once a week. Step 2: Correct- Use a topical treatment to aid healing. Step 3: Hydrate- Use a moisturizer. Step 4: Protect- Wear sunscreen every day. Seek advice from skin care specialists to help recommend products for your individual skin type and preference. The American Academy of Dermatology recommends these tips to help prevent and control acne. 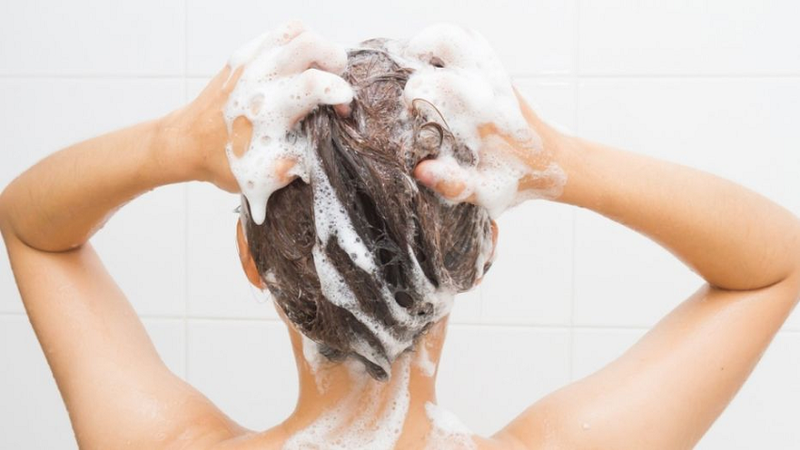 Wash your hair and scalp once a day, and after sweating profusely. Don’t scrub too hard. Doing so can irritate the skin further. Use sunscreen and wear a hat when you are in direct sunlight. Let your skin heal naturally. Don’t pop or pick at the acne. Shampoo but don’t condition every day. Rinse with lukewarm water; hot water leaves pores wide open. Don’t use more than one deep cleansing product at a time. Try wearing less makeup or investing in higher quality brands. They also say that if you absolutely must pop your acne, use a tool! Hands and fingers are seen as too big to accurately dig all of the dirt out of the skin without causing damage to the underlying layers of skin. The tools they recommend using are pore strips, a blackhead extractor, and an acne comedone. A blackhead extractor is like a vacuum but for your body. You just turn it on and watch dirt fly out of your skin. An acne comedone is a flat tool with loops on both ends. To use this, you place the loop all the way around the pimple or blackhead. Press down even with even pressure and pull it outwards in a scraping motion. Exercise extreme caution with these tools as you can easily damage and scar your skin. Remember just because a product is more expensive doesn’t mean that works better. You should read every label on every product thoroughly before applying it to your body. You should also consult your primary physician or a dermatologist if you feel the acne is getting worse. You should also talk to a doctor if your acne makes you feel insecure or embarrassed. Be advised that products containing benzoyl peroxide can bleach or discolor hair. Be sure to perform a strand test before applying to your whole head. Also discontinue products if you develop any kind of allergic reaction. So which products made the list? This top ten lineup has been compiled to include shampoos, conditioners, soap bars, and topical treatments. This all-natural shampoo has a combination of anti-inflammatory and anti-bacterial ingredients to help dry out and prevent acne from forming. This company also offers a 100% risk-free guarantee. This scrub promotes hair growth and shine, unclogs pores and prevents acne and strengthens hair follicles and stimulates circulation. Also clears dead skin cells. Rejuvenates and brightens your skin without the irritation or post-inflammatory hyperpigmentation. This is a cruelty-free formula that contains anti-oxidant, free radical fighting ingredients to promote exfoliation and healthy looking skin. This is a combination face/hair wash that treats acne plus ingrown hairs and dandruff. This topical treatment is to be used with another shampoo and not in place of one. The gel is a prescription strength retinoid. It works differently by normalizing cell turnover and targeting the clogged pores not your whole scalp. This shampoo removes oil and residue on face, body and scalp and gently exfoliates dead skin cells. This has carrot oil, parsley seed, silk peptides and almond oil that promote hair growth that also hydrates and clears the scalp. This shampoo reduces dandruff and clogged pores. Also helps prevent hair loss and shedding. This set prevents flare-ups by getting to the root of the problem. It restores the natural PH balance of the hair while moisturizes the hair and scalp. This bar has Tea Tree oil, Lemongrass, Lavender, Chamomile, and Aloe Vera which help treat acne and promote hair growth. This bundle has Castor oil, Argan oil, and Tamanu oil that used a supplement to a shampoo; moisturize, soothes, and repairs skin. Everything from psoriasis to acne is gently healed with these oils. They are unrefined and virgin as well. There are also several at home remedies that when combined with these specialty products also produce amazing results. All of these products are not intended to replace a doctor. For severe cases, please consult a doctor.